Holiday elves bring good cheer! 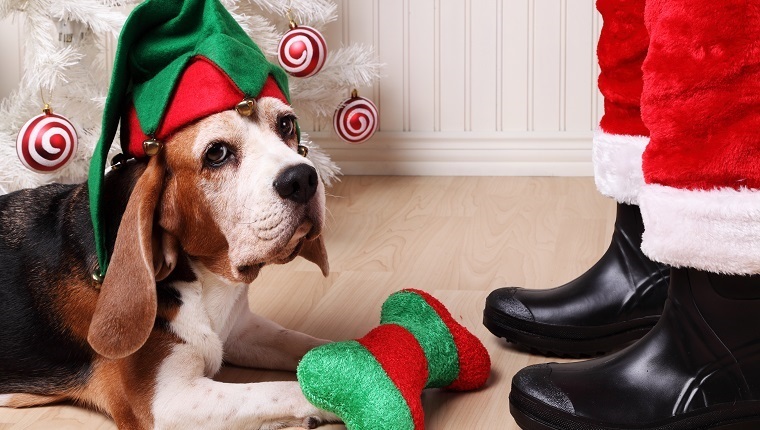 Here are some elf dogs who really seem to be getting into the Christmas spirit with the help of their humans. These guys are ready to rock your Christmas stockings and stuff them with treats! 11. Give The Elf A Treat! 12. Ho Ho Who’s A Good Dog? 13. Can We Eat The Gifts? 15. You Got Any Candy Canes? 17. Let’s Retrieve Some Gifts! 18. Is Santa Here Yet? 19. Can We Play In The Snow? 22. Did You Hear Something In The Chimney? 25. Do You Like My Hat? Is it just me, or are Santa’s helpers looking extra adorable this year? Do you have an Elf Dog? We’d really like to see pictures in the comments below. Pretty please with ginger spice cookies on top!